Maruti Suzuki launched the all-new Swift in the Indian car market last year. It is one of the best selling hatchbacks in India and has a large following to it. 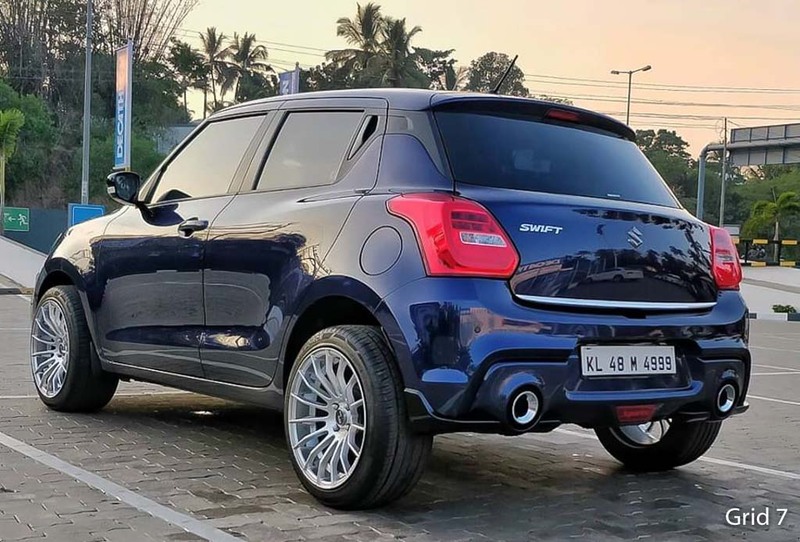 While there are many examples of the modified Swift in India, only a handful of such modifications are based on the all-new Swift. 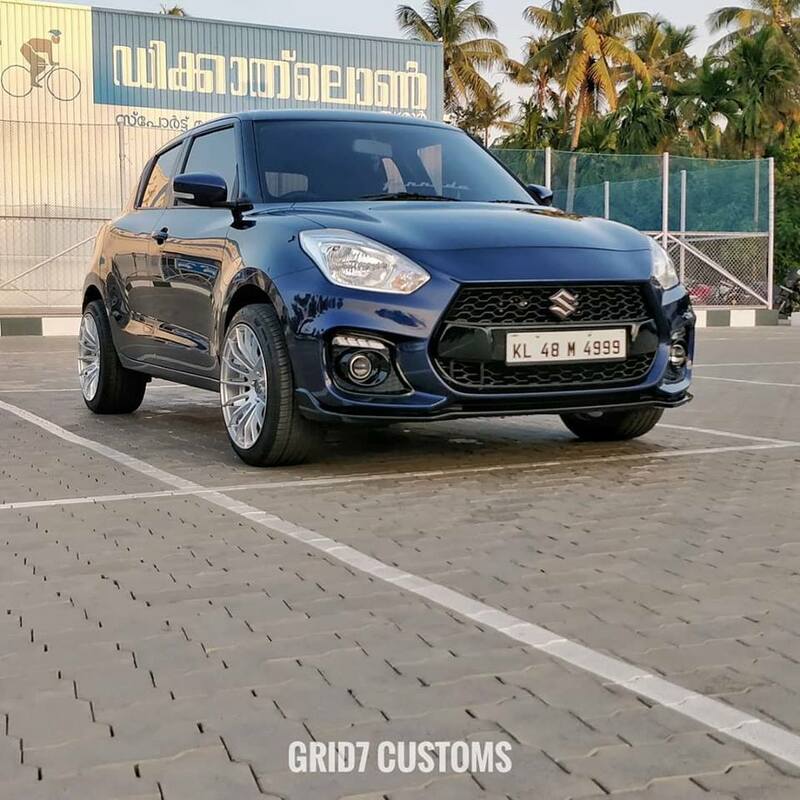 Here is the new-generation Swift that has been modified beautifully by Grid7 Customs. 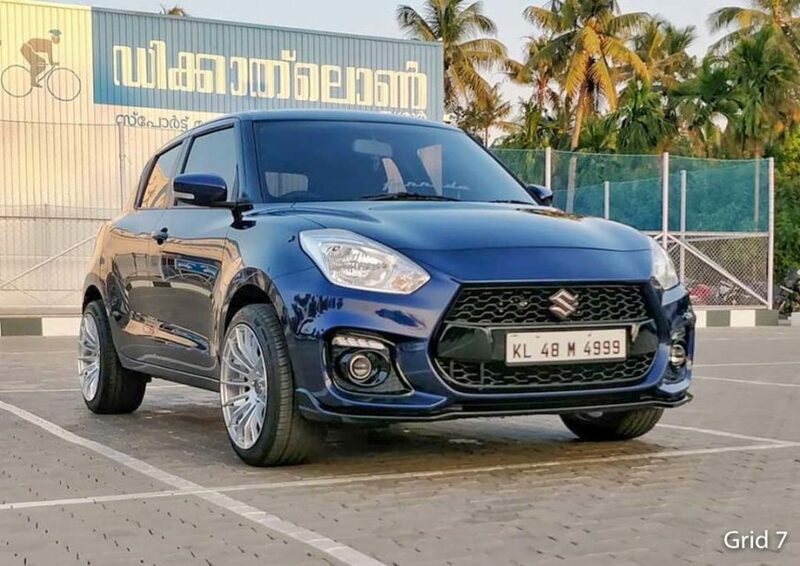 The all-new Maruti Suzuki Swift looks quite sporty even in its stock form. It gets an aggressive stance when compared to the previous-generation Swift. Grid7 has only done visual modifications to the vehicle that makes the hatchback look much better and eye-catchy when compared to the stock version of the car. The modification is inspired by the hot version of the Swift, which is available in the international markets. The front bumper looks exactly like the bumper of the Swift Sport. It gets a larger grille in a hexagonal shape and a thick stripe running across the grille which holds the number plate. Even the grille design is similar to the Swift Sport. The shape of the fog lamp housings is identical but modified Swift gets extra LED lamps placed above the fog lamps. There is an underbody bumper lip that makes the car look lower and adds more muscle to it. On the side, the vehicle remains untouched. One change on the side is the aftermarket alloy wheels. The wider tyres on aftermarket alloy wheels go quite well with the other modifications done to the Swift. The rear also gets completely revamped with only changes done to the bumper of the vehicle. The rear bumper of the Swift has been updated with an identical Swift Sport bumper. It replaces the plain-jane bumper of the regular Swift. In the Swift Sport, the bumper insert is finished in matte black while the aftermarket bumper installed on the Swift gets body colour paint job. It also gets two big exhaust mufflers integrated to the bumper. No engine changes have been mentioned for this modification but the visual updates make the Swift look much better looking than the stock version.